Black Raven Books has published my first 2018 novel! 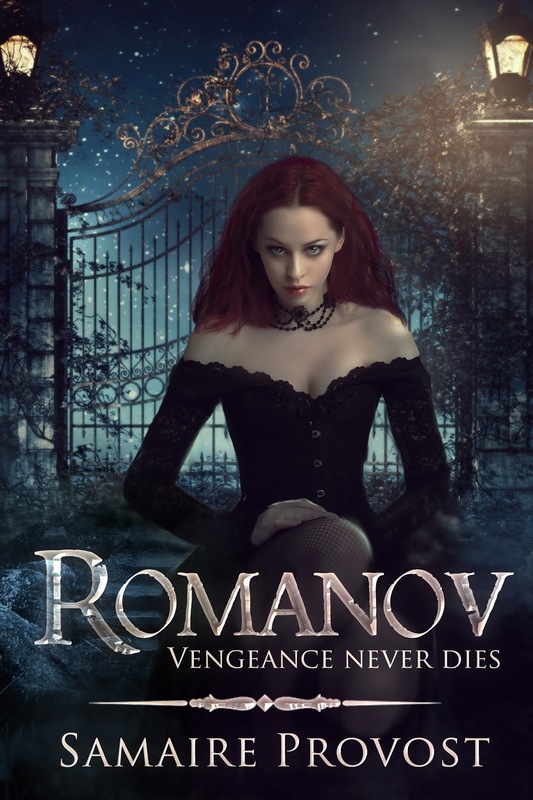 ROMANOV is an urban gothic fantasy with vampires, magic, dragons, time portals, and so much more!!! In an abandoned warehouse in Manhattan, two enemies battle to the death, while outside, a malevolent entity watches and waits and plots, eager for blood. On an island in the heart of Seattle, an immortal princess struggles to lead a normal life just as a flood of terrifying creatures starts to pour in through a portal that should not be there. A young man meets a classmate while walking home from the college library, and embarks on the most dangerous adventure he's ever known – will he survive? A deranged madman hunts the girl he's lusted after for a century, in a relentless pursuit for vengeance. A prehistoric, mythical beast jealously guards a primeval land, which is leaking into present-day Seattle. A sweet, forbidden passion blossoms between two lovers who steal moments whenever they can, while unbeknownst to them, they're hunted by a deadly creature. 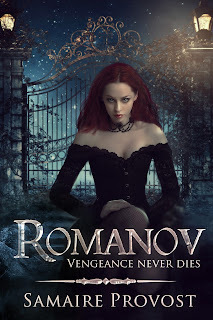 A royal family threatened at its weakest – yet lethal in its own right – is stalked by an ancient evil that will not rest until they are utterly destroyed: a nightmare incarnate that has waited millions of years for revenge threatens the very existence of the young lovers and their family in this modern, gothic tale. A wonderful paranormal fantasy you will NOT be able to put down!!! “You’re staring.” But he said nothing. Even the words he did speak seemed silent to her somehow, as if she were in a dream… She moaned in her sleep and tried to turn her body, but the vice grip held her, the paralysis that had been with her since the accident. In her dream, concern flitted across his face, apparent even in the dim glow of the candle that burned beside her bed. Its light had always comforted her, and at times, she’d stared into the flame as it flickered for moments on end, imagining she was a part of it. The thought of that soothed her, one of the few things in this world that did. “Stay with me,” he said, his tone resolute. “I can’t move,” she protested. “You’re the liar,” she whispered, her voice whispered venom. He looked hurt now, and pulled away from her, that resolve appearing to evaporate at the sound of her voice. In the same moment, he seemed farther away, the reflected candlelight that had danced in his eyes a few moments earlier now a fading glow that illumined little more than his forehead and the tip of his nose. “I’m telling you the truth,” he said, but she could barely hear him. A part of her wanted to believe what he was saying. Not a part – all of her. But in the instant she acknowledged that desire, she was aware it could not be. She tried to turn her body again.Nothing.Her jaw clenched tight, and she began to tremble with the effort. “Not that way,” he said. “Then … how!” Her voice was louder than she intended, and he pulled away further into the shadows. “It’s not important now,” he said, moving forward slightly again, into the candlelight. “Not important? Then how do you explain this?” She nearly spat the words at him, and he averted his eyes. “See?” she said. “You can’t even bear to look at me. If the accident didn’t happen, how did I get like this? He sat up straighter and held her gaze again, his eyes locking on hers so that, this time, it was she who wished to glance away. But he held her there by force of will. No one ever called her that but him. Stephen H. Provost is an author of paranormal adventures and historical non-fiction. 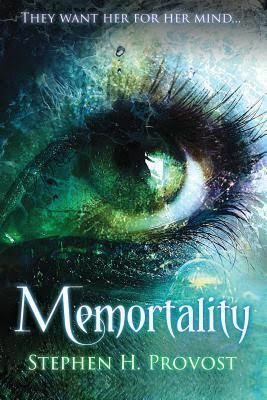 “Memortality,” his debut title on Linden Publishing’s new fiction imprint, Pace Press, is due out in February 2017 and is available for pre-order on Amazon. An editor and columnist with more than 30 years of experience as a journalist, he has written on subjects as diverse as history, religion, politics and language and has served as an editor for fiction and non-fiction projects. His book “Fresno Growing Up,” a history of Fresno, California, during the postwar years, is available on Craven Street Books, and his next non-fiction work, scheduled for release in June of 2017, will examine the history of U.S. Highway 99 in California. The author served as editor of four young adult novels: the “Mad World” series by Samaire Provost - “EPIDEMIC,” “SANCTUARY” and “DESPERATION” - and the award-winning “Lorehnin: A Novel of the Otherworld,” Volume 6 in the Otherworld series by Jenna Elizabeth Johnson. He has worked in journalism as a news editor, sports editor and reporter for four daily newspapers in California, and is currently managing editor for an award-winning weekly, The Cambrian. He has worked as an educator and has been featured at occasional speaking engagements.